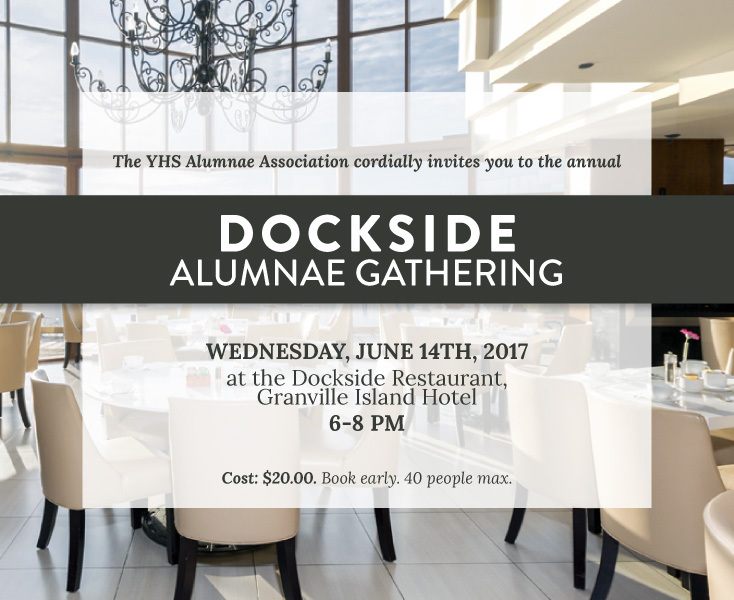 What did you do after graduating from YHS in 1984? What memories do you have of your time here? I had a wonderful six years (Gr. 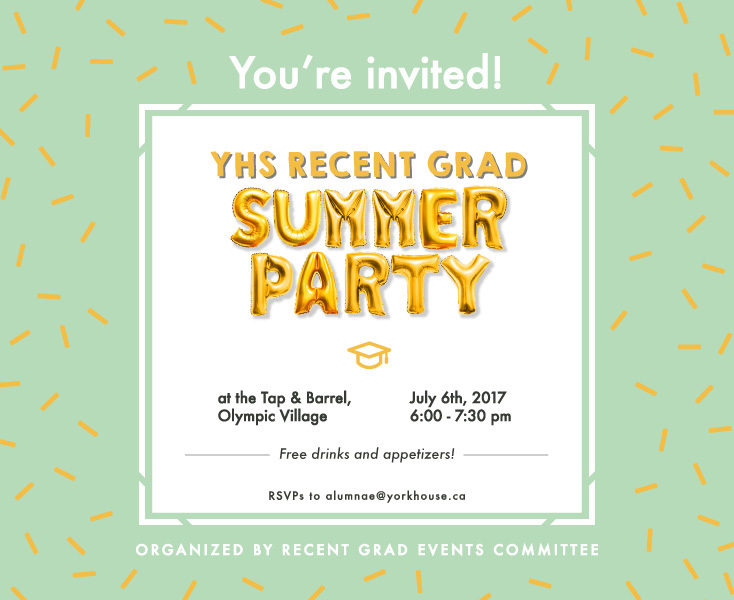 7 – 12) at YHS – it was an amazing learning environment which fostered great friendships, one really felt part of a close-knit community. 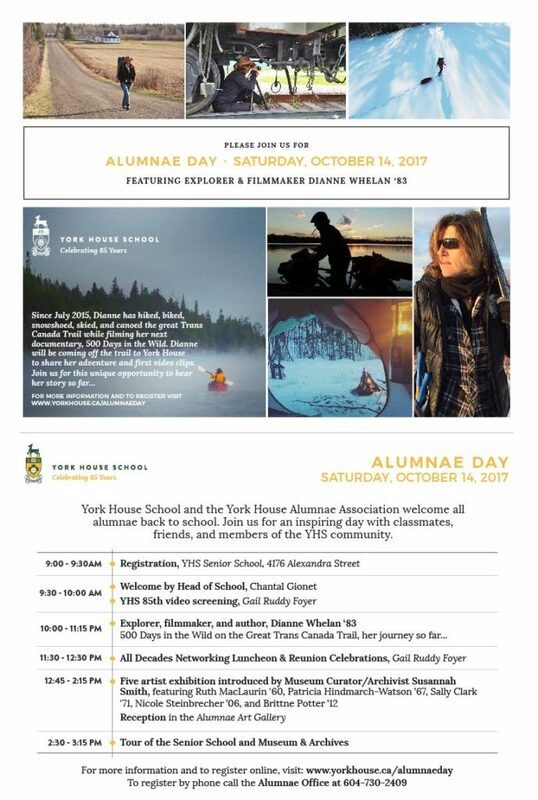 Some of my favourite memories include the annual YHS Market, a trip to Seattle to visit the Tutankhamun exhibition, and playing centre for the basketball team. If memory serves me correctly, during our year we were only qualified as exhibition so it’s been great to see YHS become a powerhouse in basketball over the past couple of decades. Describe your journey with Butzi Kids? What is Butzi Kids and how did it get its name? In 2014, I wanted to buy a children’s puzzle of Vancouver and Whistler and yet I couldn’t find anything that I liked. This is what gave me the idea for Butzi Kids. 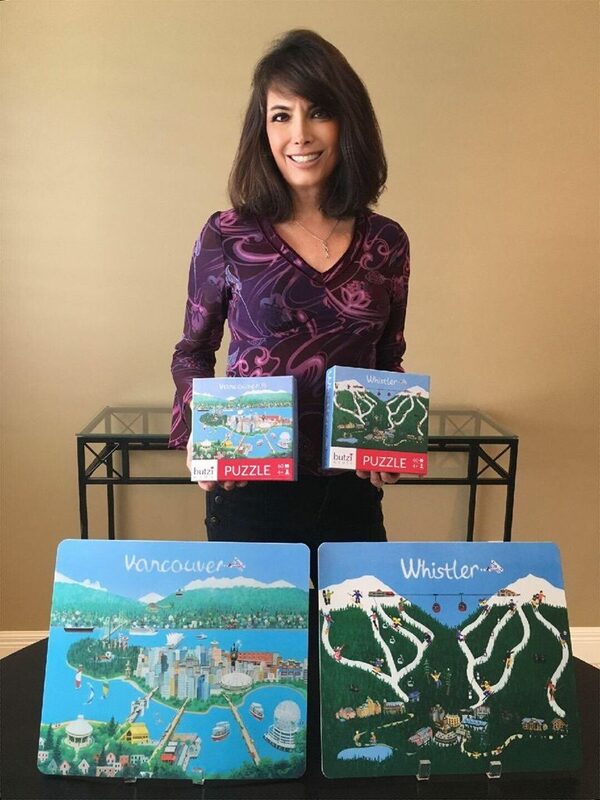 As our son was about to start kindergarten, I knew this was the right time to venture off and create a business of my own – I decided that I was going to design and have manufactured children’s puzzles, placemats, and prints of Vancouver and Whistler. However, I had to learn everything from starting and running a business, manufacturing, freight forwarding to wholesaling, since I had no experience in any of these areas. 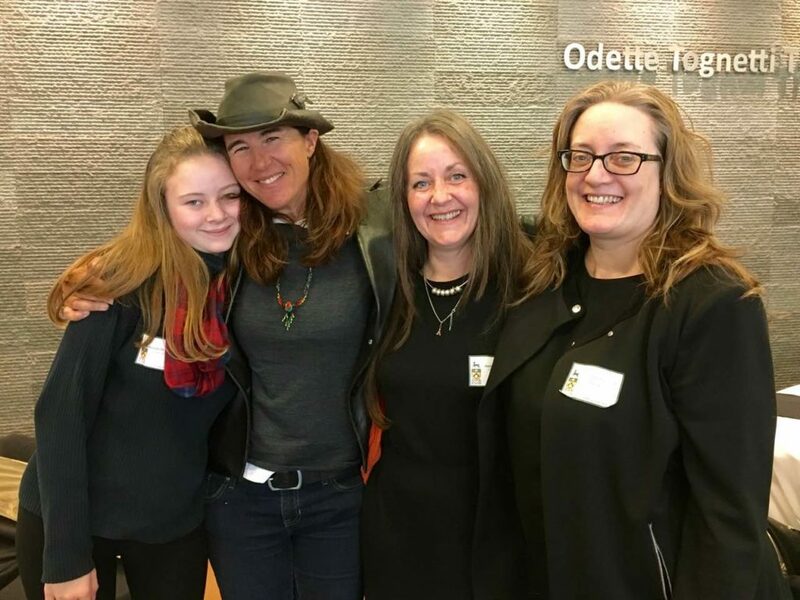 I was very fortunate to have a collection of family, friends, and associates who had the relevant expertise who guided me along – it was a lengthy and challenging process but I was so motivated that it was all very exciting. Butzi (pronounced boot-sy) is the German nickname we gave our son when he was a baby and since we made a lot of puzzles together while he was growing up, I thought it was fitting to name the company after him. What are the most important life/business lessons you’ve learned along the way? A couple of key life/business lessons I have learned are attitude is everything and if you’re handed lemons, start making lemonade as there’s always a Plan B. It is important to realize that the challenges in front of one are surmountable with perseverance, and that one doesn’t need to reinvent the wheel – there are lots of people in one’s network who are more than happy to help and to share their experiences. 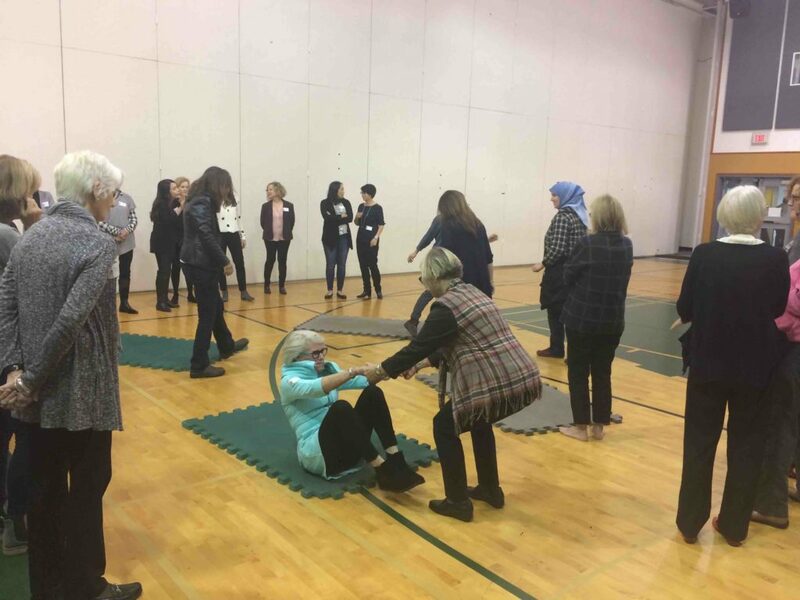 You attended an alumnae networking event last year. Was that your first time back at YHS since graduation? Over the years, I had gone to the annual YHS market and it was always very nostalgic being back on the school grounds. What challenges, if any, do you have with managing all aspects of your business? As a one person operation, it can be very easy to procrastinate getting to the ‘not so exciting’ tasks of the business, or the tasks that aren’t ones forté, which for me was the social media aspect of the business. I am an old-school marketer so I struggled with putting out posts via Facebook, Twitter, Instagram, and Pinterest. 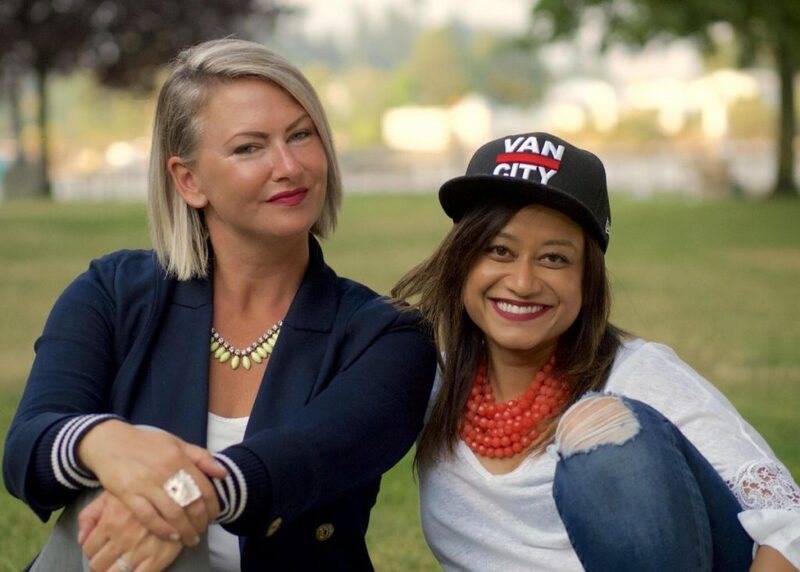 I considered myself very lucky when I was chosen for a Shopify podcast where I received a ‘social media makeover’ with the help of Vancouver’s social media expert, ‘Miss 604’ Rebecca Bollwitt. She was fantastic to work with and learn from – the crash course in social media helped me immensely. Do you have any advice for young alumnae staring down the entrepreneurial path? As cliché as it sounds, if you set your mind to something and you have the passion and determination, run with it, anything is possible! Do your research, gather information, and talk with as many people who have the expertise or contacts to help you along. There are so many excellent resources out there. I made good use of the internet and the library for resource books and I found Small Business BC to be extremely helpful. I felt along my journey that I kept getting the green light during the different stages of my business idea, and before I knew it, it became a reality. Natasha, what did you do after you graduated from York House School? I moved to London after graduating York House in pursuit of a BSc in Economic History from the London School of Economics (LSE). 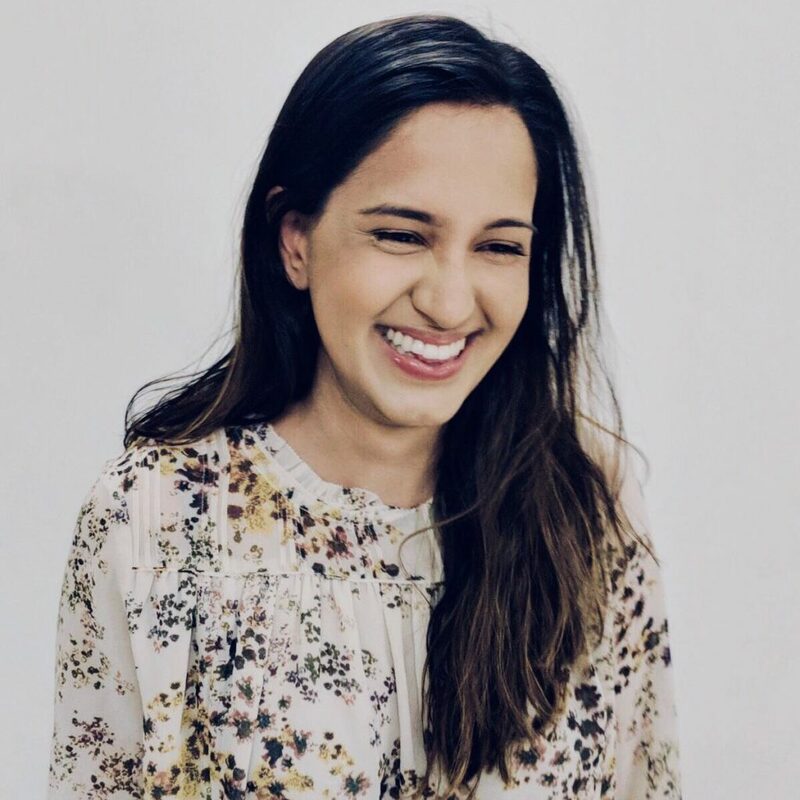 I graduated from the LSE in 2012 and then immediately started working in the mergers and acquisitions (M&A) division at Goldman Sachs in London, where I had interned during university. After spending two years at Goldman, I moved to venture capital to work for Piton Capital, a small fund where I was the third member of the investment team and I am still there. What kind of student were you at YHS? I entered finance completely by accident. My York House teachers might remember I was too much of a Marxist for Wall Street during my time there. I had gone to LSE hoping to pursue a career in international development and save the world. Suffice it to say, after attending a few career sessions in those fields I became somewhat disillusioned with the bureaucracy and I was worried about the unclear paths for progression in those fields. A friend of mine invited me to join her at a career evening hosted by Slaughter & May, a law firm, to see if law was something that interested me. What I had learned was that it wasn’t the documentation and drafting of contracts that interested me, but the financial aspects such as establishing the value of both businesses, determining the synergies, and exploring financing options. Both my parents are entrepreneurs, and being able to work with entrepreneurs and operators at a critical time for their business was something that really excited me about investment banking. Having said that, within the two years I was at Goldman, I realized my heart was with earlier stage businesses, like the ones I had been exposed to at the dinner table growing up. I had worked on some technology transactions at Goldman, which fuelled my interest in venture capital. Being closer to the operations whilst still being able to use the skills I had developed at Goldman and working in an increasingly exciting and fast-moving industry are all components in my current job in venture capital that keep me very excited. Describe a typical day in your current position? In venture capital, our role is to identify early stage businesses that we think are in an interesting market and at some point can provide us with attractive financial returns. Piton Capital, where I work now, is one of the few extremely specialized venture capital funds in the world. We only invest in online businesses that benefit from network effects, which means the product or service improves as more people use it. The job varies enormously day to day, so it’s very hard to describe a typical day. I would say if I had to crudely break it up, I spend about 30% of my time in meetings with entrepreneurs who are pitching their businesses, 40% of my time analyzing companies and conducting diligence and 30% of my time managing our existing portfolio, where I help them with strategic advice, sit on their boards and act as an advisor for decisions such as recruitment, new market expansion, pricing etc. I am usually travelling around once a week, mostly across Europe as we invest actively in markets such as Germany, France, Poland, and the Nordics. We’ve also done deals in Egypt and Pakistan. Do you see yourself staying in London or moving back to North America? It’s very hard to answer this one and attempting to answer will either anger my parents or my current employers so I’ll decline to comment. You were recently listed in the 2018 30 under 30 Forbes Europe – Finance List. Tell us more about that experience? It’s humbling to be recognized in a list which also includes Kendrick Lamar, my favourite rapper. When I’m home, I frequently drive around Vancouver blasting his song “Humble”, and the Forbes inclusion has reminded me to take the (explicit) advice in that song seriously. Life can be so hectic that it can be hard to take a step back and reflect on your achievements so being part of this list was a good opportunity to do that. More than anything, the outpouring of good wishes it triggered was a reminder of how many people have supported me and how grateful I am to them. Will Brexit have any impact on your career path? Brexit is destabilizing for both the UK economy and its social fabric. My career, along with many others, benefit from the diversity and talent that Britain has embraced over the last fifty years. The Brexit vote has brought to the surface many divisions in British society and has taught us that unfortunately, many of the benefits of being an open and tolerant nation seem to be at risk. From a career perspective, many of the UK’s top entrepreneurs are migrants, from the EU and elsewhere, and many British businesses have been built by the hard work of migrants. My fund invests across Europe with our most active market being Germany, so we are not directly impacted by Brexit in any major way. We are already starting to see new hubs of activity emerge in more European cities and Europeans move back to their countries of origin. While I think this will be detrimental to the UK, our flexibility around investing across Europe will still enable us to continue to invest in the most promising companies and back the best entrepreneurs. The UK faces a lot of uncertainty in the coming years, and it’s my hope that the voices calling for a more tolerant and open society don’t lose out to those seeking to divide. Did any one person or teacher influence you at YHS? Smita (R) pictured with her friend and business partner, Andrea Bell. You graduated in 1999. 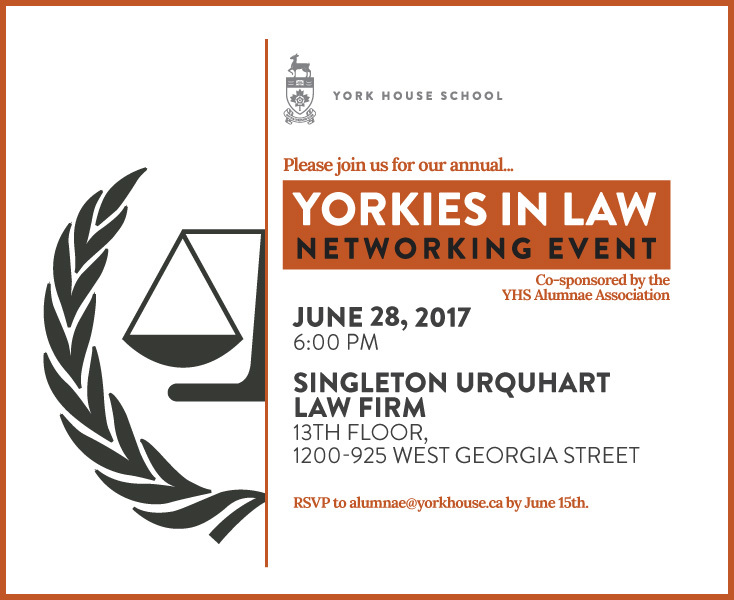 In terms of further studies, where did you go after York House? After graduating, I went across the pond to Dublin, Ireland. I was there for seven years completing my medical degrees and internship training. It was an incredible time to be there as Ireland had just switched to the Euro currency as a member of the EU. A true snapshot for me of living through political and historical change. Describe a typical working day at BC Children’s Hospital? That’s a tough one, because there is no “typical” day. This is what drives me to working in the emergency department. I start my day checking in on the admitted patients with our entire team. We problem shoot, review medication and treatment. Most importantly, we make sure the families of the children admitted are consistently involved in the “loop of communication.” That is the only hour in my day, set in stone. The rest is dependent on who presents to the Emergency Department. We get paged across the Province and the Yukon by family doctors and paediatricians asking us for educational support on ethical or high risk situations. You kindly came back to York House to speak to our students during Career Day a few years ago. What was that experience like? I was so nervous! The hardest thing to do, is to inspire a group of intelligent and driven young women despite their personal experiences, cultural background, and passions. For me, speaking in front of adults, and other clinicians is the easier part of my work. Being able to look an an audience, and see why they took their time to listen to me, is definitely an art I am continuously working on. There is nothing more that matters to me then the mental health, and overall wellness of our youth. One thing that is on my bucket list, is to craft and deliver a speech to the graduates. Even better, maybe address the year one of my Yorkie nieces graduates (2025!). Your new publication for kids is about the importance of sleep. 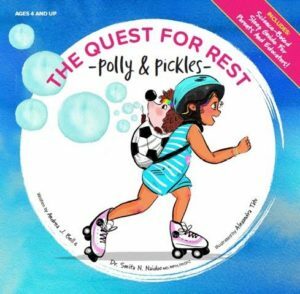 How did this collaboration come about and tell us more about Polly & Pickles? Believe it or not, I met my business partner, now dear friend Andrea Bell, on a plane ride from LAX to YVR 30,000 feet above ground! We instantly matched and had a shared vision of creating children’s books with a meaning. Within less than three months, Paper Clouds Project Ltd was born. We self-published our first book on sleep, which was just released this January 2018. We chose sleep as our first book because clinically this is the simplest way of altering the behaviour of a child and the environment of a home. 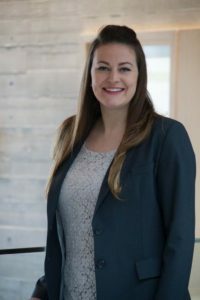 Andrea was personally adjusting to having three children of different developmental ages and found that in the working-mom world, the value of sleep is under prioritized. Did anyone or any one experience inspire you at YHS to follow your dreams of being a psychiatrist and author? Yes. Absolutely. Mr. B! It’s amazing the impact a few comments, experiences can influence us to the core, to our gene expression. Mr. B was like a father to me, when he was training us for track meets, and inspiring us to do more. I still remember when he was discussing muscle physiology and used me as an example. It touched me, because that authentic validation in front of my peers, truly set further ground work to a healthy self-esteem. Alongside my parents, and two older brothers, Mr. B certainly made me feel I had gifts to share with the world. For members of our community with young children, provide three tips on how to get our kids to sleep smarter/better? I have one word for you R.E.D.! Routine! If you can make one change, create a cheat sheet for sleep with your child. Make two copies, one in the washroom, one in the bedroom. From the moment your child/youth enters home after a busy day at YHS, their routine begins! The misnomer is that if you have a “good bedtime routine” things should work out. Not true! Transitioning from a structured environment (i.e. school) to a semi/non-structured environment, sends signals to their brains making it more scattered, unsure, and even anxious. Ground a few things: homework time, dinner time, fun/social media time. This is the most beneficial and most sustainable gift you can give your child. This level of routine, trains your body clock (i.e. circadian rhythm) on when to release melatonin and other hormones promoting good sleep and brain growth. Environment: Make sure the child’s bedroom does NOT have a desk for study. Associating a child’s room with anything but calm, is never a good idea. A desk, if used for study, then sub-consciously associates the room of stress, deadlines and at times, poorer self esteem. Keep it minimalistic, filled with meaningful objects for your child (not your own aesthetic pleasure). By doing this, you are giving your child the autonomy to create their sanctuary with some guidance. Due to limited space, busier lifestyles, our rooms are now multi-purpose. This is one room, you want (for the entire family) to only serve for one purpose alone…sleep/relaxation. Distraction Devices: aka iPads/mobile phones! There may be many changes with technology, but one thing which has stayed consistent over the years, are the guidelines of screen time. No screen time two hours before bedtime for the entire family. The way to avoid the “power struggle”, ALL family members, give up their devices with the EARLIEST bedtime in the home. This then creates a uniform expectation and the child/youth no longer views this as a punishment or that they are “missing out” on something. 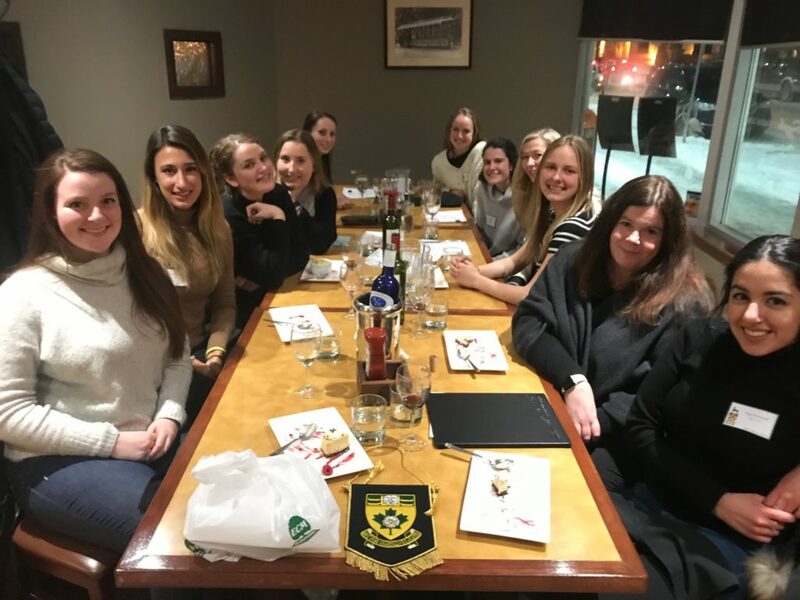 Ita Kane-Wilson, Alumnae/Advancement Officer and Kimberley Harvey, Director of Senior School embarked on the annual alumnae trip to Ontario and Quebec to meet up with recent grads over dinner. 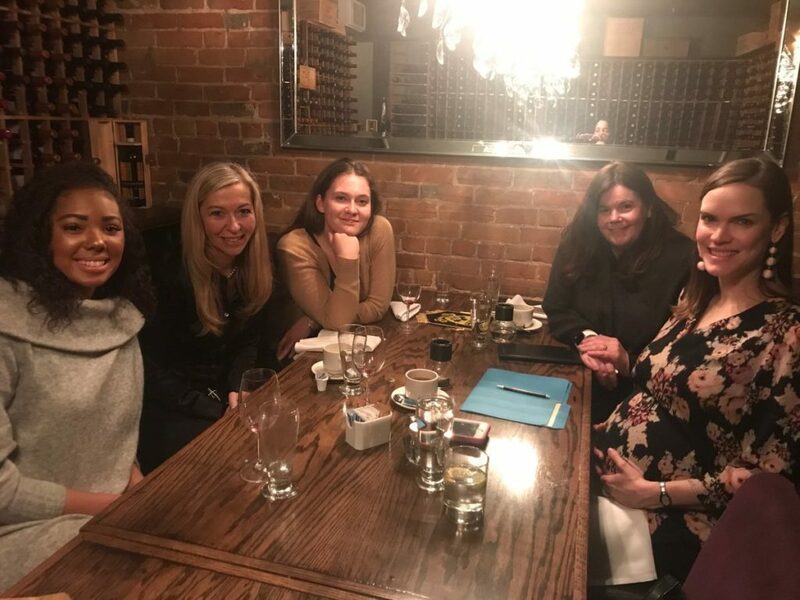 First stop was in Ottawa where they met with a small group of alums including Stephanie (Lang) Young ‘01, Helen Cassie ‘16 and Taneisha Dunham ‘15. Stephanie is expecting her second child, Helen is enjoying her 2nd year of university and Taneisha is considering a move into further studies in education. She has been working as a nanny outside of her university studies and loves children, so teaching is a natural career choice she says. Montreal was bitterly cold but sunny, and the girls there were thrilled to be invited to dinner. A local Indian restaurant provided amazing service and all the girls left with paper bags full of leftovers. Part-time work and accommodation sources were exchanged between alumnae and everyone appreciated the opportunity to connect and trade stories. Brittne Potter from the Class of 2012 shared news about her involvement with the Centerfold Gallery. Located in Westmount, the Centerfold also provides an online marketplace for local artists. It was snowing in Kingston, but that did not dampen the Yorkie spirit. The girls happily provided tips to Grade 12s on how to adjust to university life and the number 1 tip came from Hasti Pourriahi, Class of 2015: “ It’s not the end of the world, until it’s the end of the world!”. 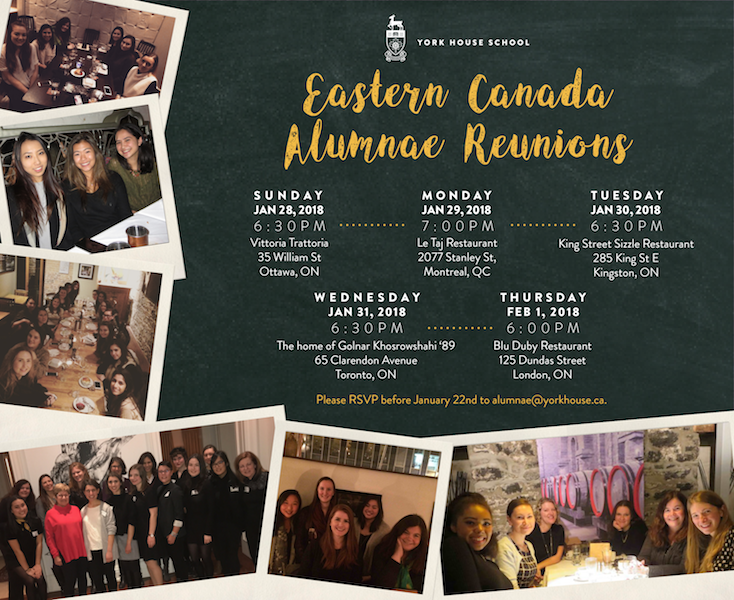 Golnar Khosrowshahi from the Class of 1989 generously hosted the Toronto alumnae reunion at her lovely home and it was great to catch up with grads and let them know about latest alumnae-related developments at York House. 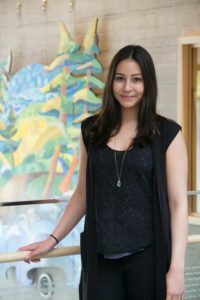 Mercedes Fogarassy ‘13 shared her experience of having alumna Anna Baird ‘03 as her mentor and how it has really helped her with her career to date. In London, chapter chair Skylar Gordon ‘14 kindly welcomed everyone to the reunion. She’s in her last year at the Ivey Business School and heading back to Vancouver in May to start a new job with a company in Richmond. She also talked about the benefits of signing up to the YHS Alumnae Mentorship Program, and how she’s enjoying many career conversations with her alumna mentor. Kira Hoff ‘14 and Caitlin Pitblado ‘14 also finish up at Ivey this year. 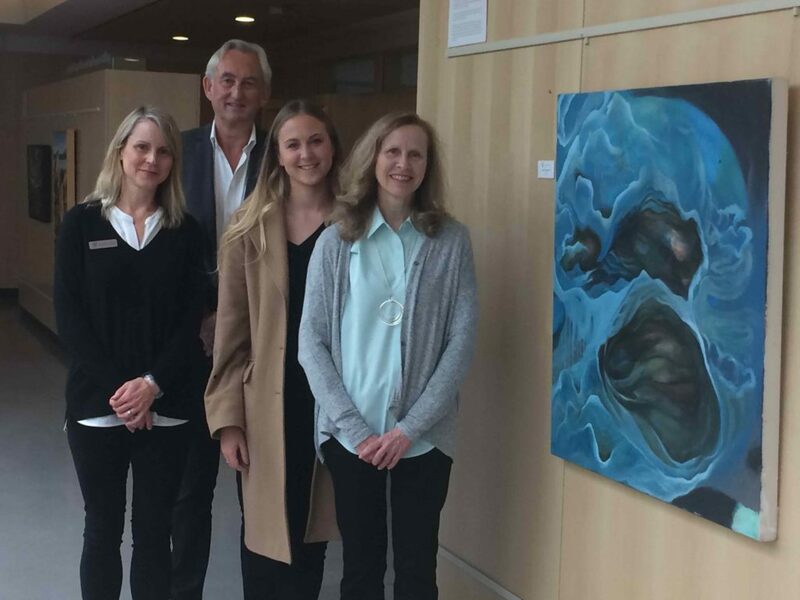 This fall’s Alumnae Gallery exhibition is titled Topographies: Relationships with Landscape and Geography, and features work by five alumnae artists: Ruth MacLaurin ’60, Patricia Hindmarch-Watson ’67, Sally Clark ’71, Nicole Steinbrecher ’06, and Brittne Potter ’12. 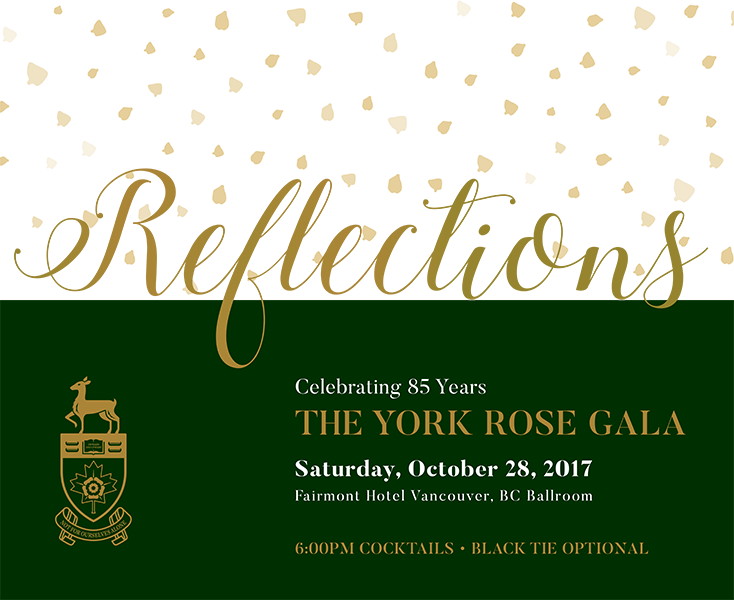 To purchase tickets and for more info, click here.